Hire this simple to use vibration meter is perfect for basic machine condition monitoring and quick environmental measurements. 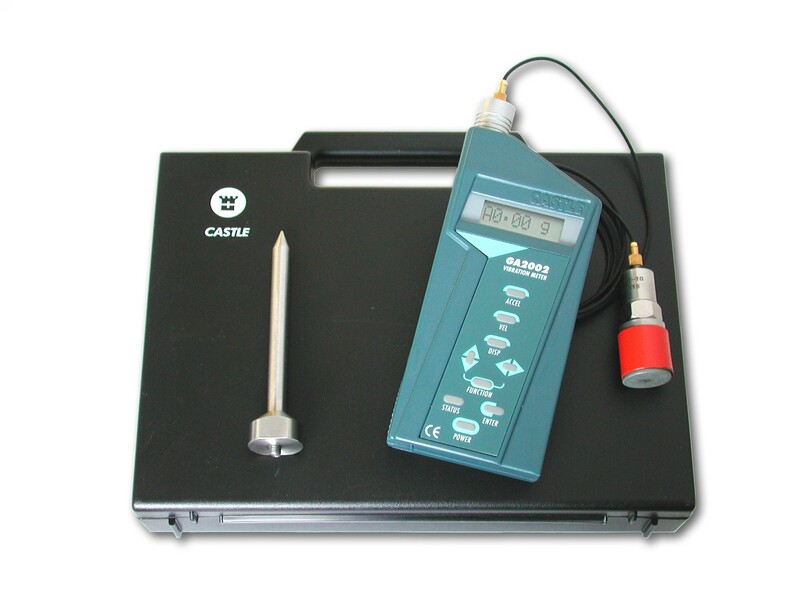 The GA2002 is a hugely popular vibration meter, probably because the uses for this instrument are far-reaching and widespread. One prime example would be a maintenance operator verifying results from a fixed monitoring system or taking measurements for maintenance prediction. Another example is a construction engineer checking that the vibration from a piling operation is not exceeding any environmental thresholds. 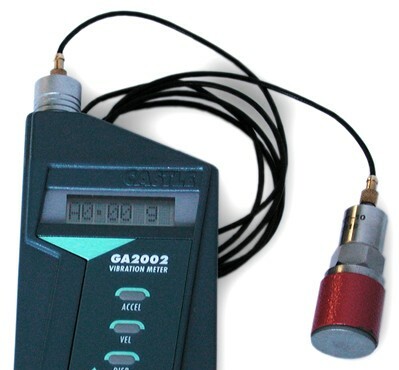 This is the GA2002 General Purpose Pocket Vibration Meter which is simple to use and is perfect for basic machine condition monitoring and quick environmental measurements. It offers simple, reliable and accurate results for many types of vibration measurement plus instant data-logging. Flexibility of measurement parameters allow for diverse use. Perfect for quick and simple measurements of vibration levels on machinery and in the environment. Stores 9 simple readings for later recall. 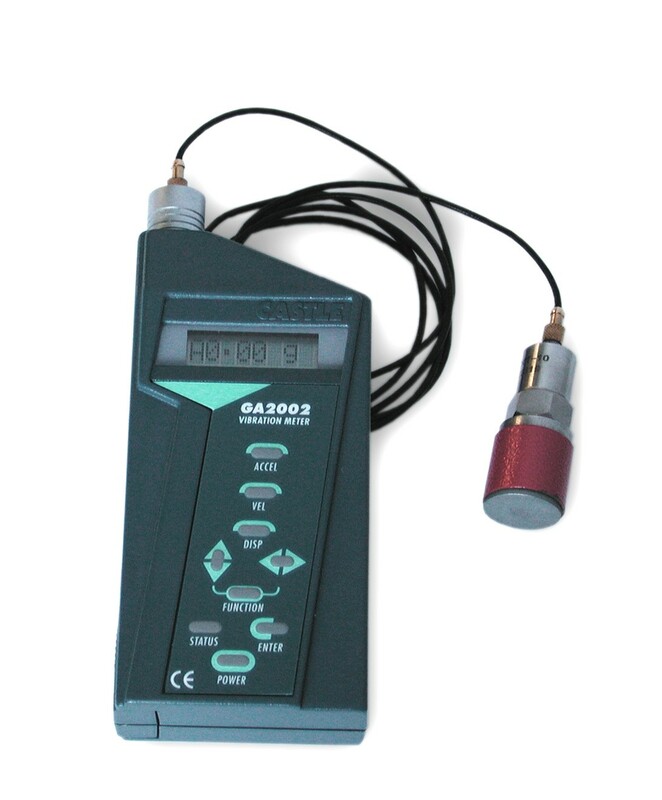 It is an industrial grade vibration level indicator which features 3 basic parameters for acceleration (displayed in g), velocity (displayed in mm per second), and displacement (displayed in µm). The unit has two operating ranges (Low and High), independently selectable for each parameter, with the high range giving a x10 resolution step against the Low range. These ranges are not to be confused with Low and High pass frequency filter sets that may be available on other manufacturers vibration instruments. The uses for this instrument are far-reaching and widespread. One prime example would be a maintenance operator verifying results from a fixed monitoring system or taking measurements for maintenance prediction. Another example is a construction engineer checking that the vibration from a piling operation is not exceeding any environmental thresholds. Memory non-volatile E2PROM memory which holds calibration data plus storage of 9 spot results.